If David Haye’s ageing body can hold up against Tony Bellew this Saturday night then he’s in with a chance of victory, according to former super middleweight world boxing champion and current TV analyst Carl Froch. But, he hastens to add, that’s a big “if”. When the two former cruiserweight champions met in a heavyweight clash a year ago it was the 35-year-old Liverpudlian who came out victorious after Haye’s body broke down mid-fight with a torn Achilles tendon that prevented him from finishing the fight on his feet. A hobbled Haye was knocked down in the 11th round by Bellew and his corner mercifully threw in the towel to save the largely immobile boxer from any further punishment. Bellew was leading the fight by three points on all three judges’ scorecards at the time of the stoppage. While the 37-year-old South Londoner may only be slightly older than Bellew, his body has endured much more wear and tear. A glance back over his pro career reveals a string of fight cancelations and postponements due to various injuries and surgeries. Even the Bellew rematch was pushed back from its original date of December after Haye injured his biceps in training. “The problem Haye has got is that his body is falling apart,” continued Froch. “I retired at 36 — I wasn’t breaking down like him but I could feel it. You just can’t get into the physical shape you need to be in, in your late 30s. In your mindset you still want it and you’ve still got it. 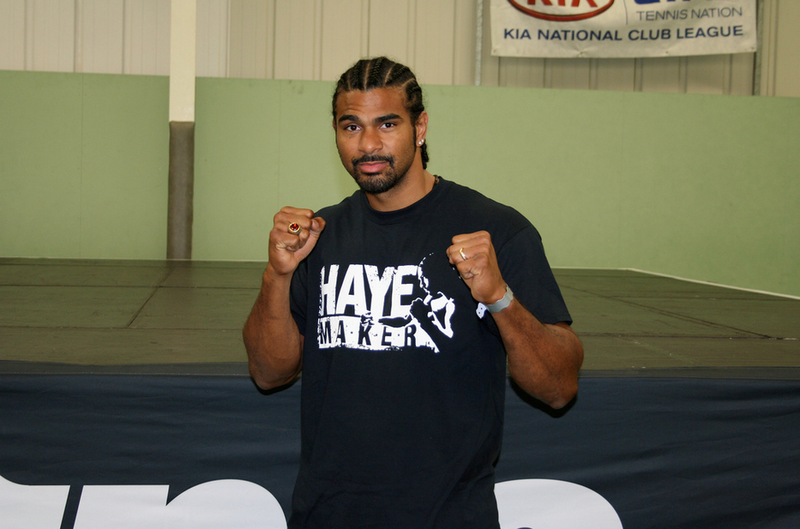 Haye meanwhile believes his body is running like a finely tuned machine. “Everything is fine and I just need to keep it this way. It’s like a car having a major service — new tyres, new clutch, oil change, everything has been revamped,” he said. But even cars can breakdown directly after a service.